BYRAM, New Jersey (WABC) -- An emergency responder died a short time after responding to a crash involving his teen daughter in New Jersey. 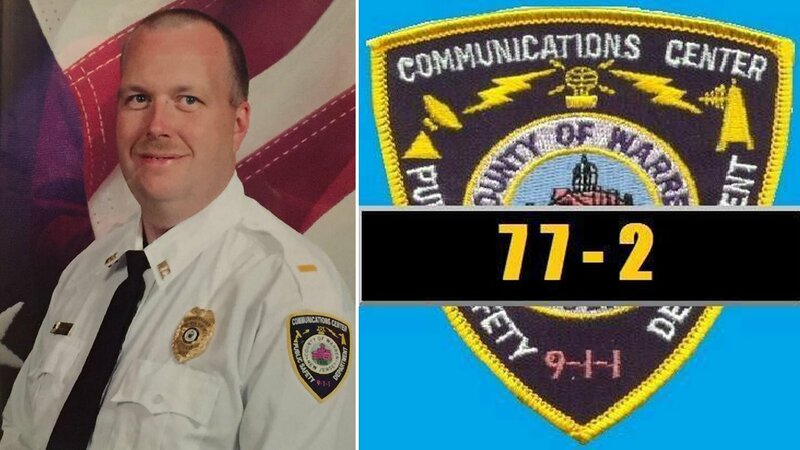 Eric Danielson, chief of the Andover Township Police Department, told Eyewitness News that his brother, Eskil "Scott" Danielson, 49 and of Andover Borough in Sussex County, served as captain of the Warren County 911 Emergency Center and volunteered for the Lakeland Emergency Squad. Captain Danielson was on duty Saturday when a call came in at about 3:30 p.m. for a crash on Route 206 near the Byram/Andover line, said Chief Danielson. At the same time, Captain Danielson's phone rang. It was his daughter, 19-year-old Alycia, telling him he was involved in that crash. Captain Danielson rushed to the scene, where he treated Alycia and another person injured in the crash. All who were hurt in the crash were taken to Newtown Medical Center for treatment. While Captain Danielson was in the waiting room, he suffered a heart attack and collapsed. Doctors treated him there before deciding to airlift him to Morristown Medical Center. Once at Morristown, doctors planned to do a procedure on Captain Danielson's heart but his condition was not stable enough. He died at 8:30 p.m.
Captain Danielson is survived by his wife of 25 years, Tammy, and three children, Aaron, Amanda and Alycia. Wednesday, Jan. 20 - 2-4 p.m. and 6-9 p.m.